In court today, a Belize City man reappeared before Justice Troadio Gonzalez to learn his fate following his conviction last Thursday. Twenty-eight year old Glenford Ferguson Jr. was sentenced to twenty-two years imprisonment for a crime that goes back to seven years ago, when he was accused of the murder of Koffi Beeks, a Ladyville resident who was stabbed to death on February sixteenth, 2007. But at the end of the trial last Thursday, the jury found Ferguson not guilty of murder but guilty of manslaughter. In mitigation today, four character witnesses were called including a friend and family members. Ferguson himself said he was very sorry and asked for leniency and a chance to be with his family again. But in imposing the sentence, the judge said he took into consideration, the prevalence of the crime and the fact that there have been a number of senseless killings among young people. 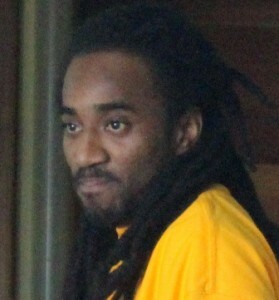 During trial, Ferguson Junior claimed he acted in self defence because Beeks had attacked him first. But according to witnesses for the prosecution, Ferguson Jr. stabbed Beeks from behind. That was corroborated by the doctor whose opinion was that the deceased was stabbed once to the left side of his neck with a pen knife from behind. The witness for the prosecution, a female said that she was speaking with Beeks when Ferguson Jr., stabbed him. Because has been on remand for seven years, he is now looking at fifteen more years behind bar. He will never be constipated again.